GOG customers can now get free digital copies of select games by redeeming physical CD keys at the retailer's website. I feel safe in saying that, for the most part, physical PC games are kind of on the way out. With digital distribution giving gamers an easy and, often enough, almost insanely affordable way to buy games, it just doesn't make as much sense to have a stack of boxes next to your desktop. This is especially true when you consider how changes in hardware and what-not can often render older titles obsolete. It can be easy to find yourself with a collection of games that your modern machine literally can't play. 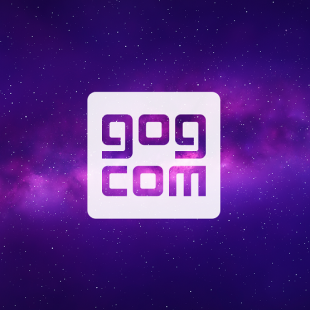 Being well-versed in this sad truth, GOG has launched a new service today that it hopes will help PC gamers continue to make good use of their physical games. How you ask? By letting them use their real-world copies to claim free digital ones from the site's online library. To do this, GOG customers merely need to produce the original game key from the box version of their desired PC title. They'll then be able to enter it into an online form at the GOG website, after which they'll be given a voucher for a DRM-free digital copy complete "with all [the] bonus goodies" that come with the GOG version. The catch, unfortunately, is that the selection of titles included in the "Reclaim" program is currently somewhat limited. The games include Eador: Genesis, S.T.A.L.K.E.R: Shadow of Chernobyl, S.T.A.L.K.E.R: Call of Pripyat, S.T.A.L.K.E.R: Clear Sky, Mount & Blade: Warband and Mount & Blade: With Fire & Sword. Oleg Klapovsky, GOG.com's VP of Business Development and Operations, has said however, that more games are on the way. "It's not a simple job, but we plan to bring in even more games in the future." Setting aside the fact that the program's launch library is a bit on the sparse side, I think this is actually a real cool idea. I don't personally have a wide selection of older PC titles, but those that I do are all ones that GOG has in its catalog. Granted, I've already re-purchased most of those in a digital form, but I'm willing to bet that there's more than a few people out there with games they'd love to reclaim.